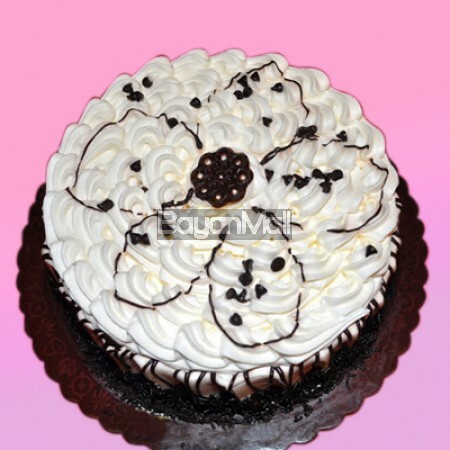 Rich chocolate mousse on moist chocolate butter cake and iced with freshly whipped cream. 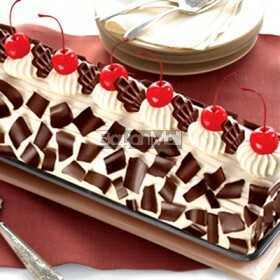 The top is laced with layers of cream border. The whole cake is drizzled with chocolate ganache and chocolate vermicelli. Top of the cake is sprinkled with chocolate chips.